What a season Paris Saint-Germain are having, in every way and in every sense. Thomas Tuchel has brought novelty, innovation and a breath of fresh air to the Parc des Princes. His team has been incredibly superior domestically and will clinch its eighth French title -- and sixth in seven seasons -- any day now. However, they suffered yet another humiliation in Europe with a defeat at home against a Manchester United reserve team. Then, between Neymar's toe (again), "Rabiotgate," Eric Maxim Choupo-Moting's unbelievable miss against Strasbourg, the Luciano Acosta mess in January, their back-to-back transfer window failings, the battle and disagreement between Tuchel and sporting director Antero Henrique, the ongoing FFP case and the scandal about team scouts illegally profiling youth players, it has been an incredible 10 months in the French capital. Sunday brought a new nadir on the pitch, as a rotated/makeshift PSG side was hammered 5-1 at Lille, marking the first time since 2000 that they conceded five goals in a league game. Tuchel felt bold enough to criticise his own club by saying that his squad is not deep or strong enough. He even mentioned Adrien Rabiot, who has been frozen out for months by the club's hierarchy because he doesn't want to sign a new deal at the Parc des Princes. On paper, it was a lovely fairytale: the prodigal son coming back to where it all started. In reality, it was a nightmare from start to finish. Thierry Henry's first managerial experience lasted only 104 days in Monaco and consisted of 12 league games, two wins and a tumultuous relationship with some of the players. Jardim was the big winner in the end: sacked in October with a compensation package, called back in January with an improved deal after three months off and with a better squad (Cesc Fabregas, William Vainqueur, Gelson Martins, Naldo and Fode Ballo-Toure all joined in January). The prince has become the king already. 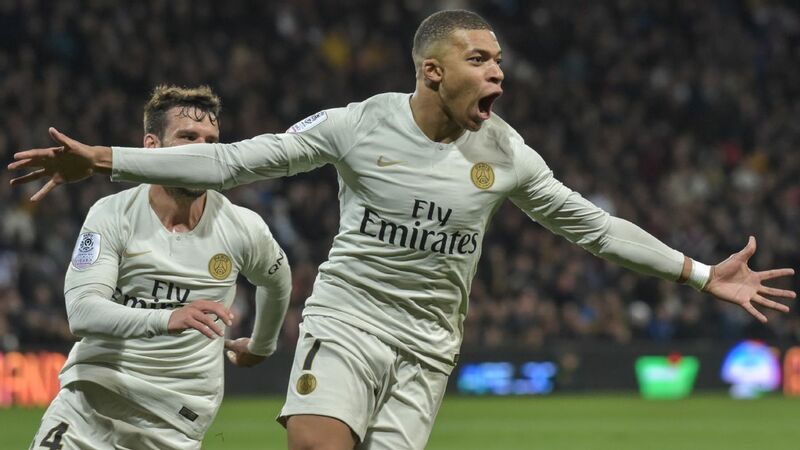 With 27 goals in 25 league matches to date (plus five assists), Kylian Mbappe's incredible rise to the top continues. 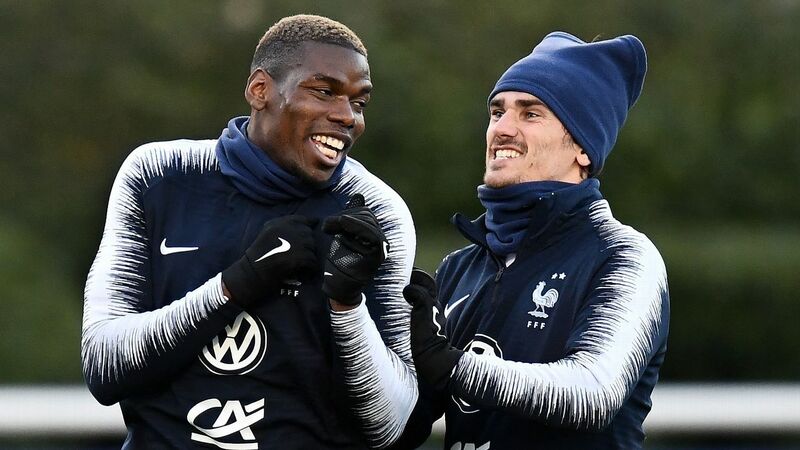 It's almost as if winning the World Cup with France last summer propelled him into a new, even bigger dimension in which his incredible talent is even more fitting. Tanguy Ndombele, Nicolas Pepe, Nabil Fekir, Florian Thauvin, Mario Balotelli, Marcus Thuram, Hatem Ben Arfa, Memphis Depay, Allan Saint-Maximin ... the list goes on. 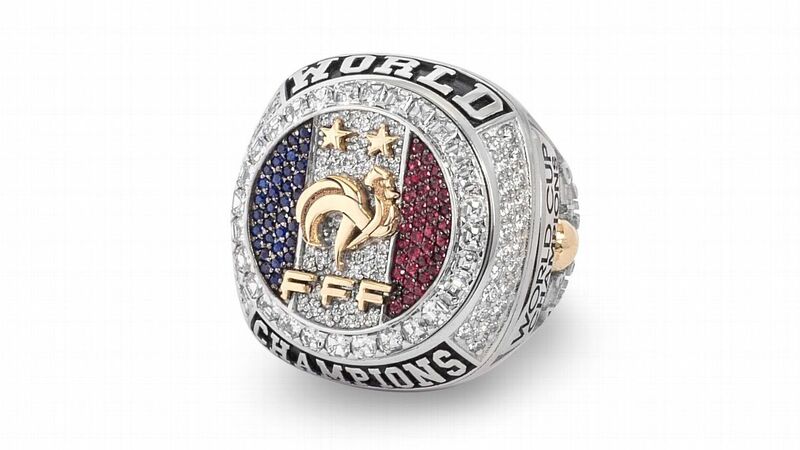 Once again, this summer will be very busy in Ligue 1, with big European clubs coming to do their shopping in France. On the other hand, one of the most refreshing stories in France has been Lille. From fighting to stay up last season and finishing 17th in the end to competing for a top-three finish -- they're second with seven games remaining -- the turnaround could not have been more spectacular. 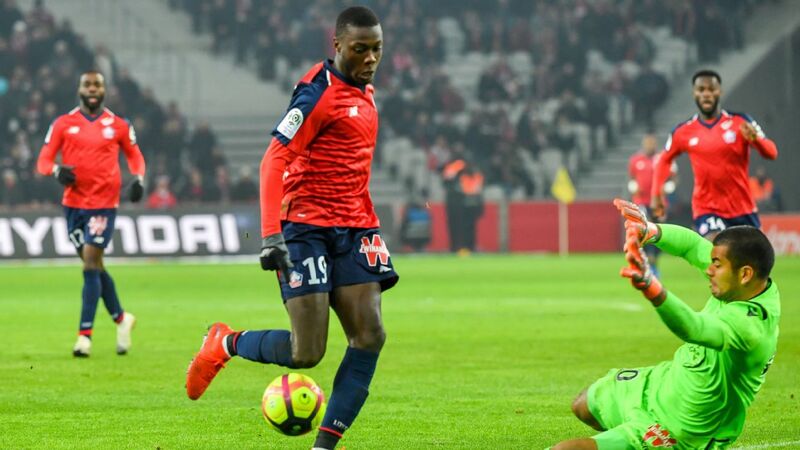 Nicolas Pepe has been the star of the show, with 18 goals and nine assists in Ligue 1. The trio he forms with Jonathan Ikone and Jonathan Bamba is nicknamed "BIP BIP" -- like the roadrunner in the old cartoon -- because they are so quick on and off the ball. Turkish right-back Zeki Celik has been a revelation this season, and Jose Fonte has been excellent at the back since leaving the Premier League. It's just a shame that the club will sell four or five of their stars this summer, including Pepe, and not keep this team together for a genuine go at the Champions League next season. Nicolas Pepe, 23, was Ligue 1's breakout star in 2018-19 and has caught the attention of some of Europe's biggest clubs. Take Monaco's game vs. Strasbourg in January, Henry's first game in charge, in which the cameras didn't work between the 44th and 68th minutes and Monaco should have had a penalty. (Fortunately for the referee, it didn't matter much, as Strasbourg cruised to a stunning 5-1 win.) What about Nabil Fekir's horrendous tackle on Leandro Paredes in early February, a game in which Fekir scored one and set up the other to inflict PSG's first Ligue 1 defeat of the season? Or the one from Mbaye Niang on Thilo Kehrer, a game PSG won 4-1 but saw the Rennes winger catch PSG's defender above the ankle with a nasty lunge? The referee later admitted that he got the decision wrong. In fairness, Lyon have not been much better. 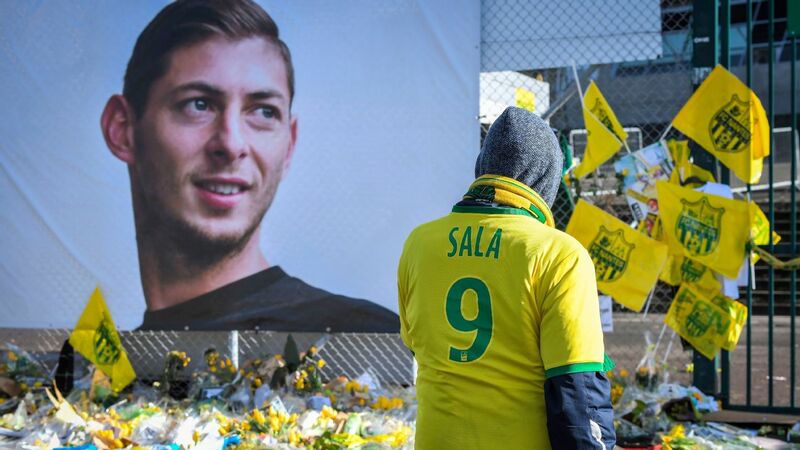 There have been some brilliant moments on the pitch, especially beating Pep Guardiola's Manchester City away and PSG at home, but some terrible ones off it. The fact that the club organised a news conference to announce a new contract for manager Bruno Genesio after the French Cup semifinal against Rennes last week before deciding to not give him one because OL were beaten was incredible in itself. Barely two weeks later, he decided to step down after two more defeats against Dijon at home (3-1) and away at Nantes (2-1). The whole situation was a mess from start to finish, and it is amid this toxic atmosphere that Lyon will try to hang on to third place in Ligue 1 and qualify for next season's Champions League, an accomplishment that is so important (and so lucrative) for the struggling club. Also worryingly, the club is losing a lot of money after investing heavily in an underperforming squad, especially in wages, that hasn't done nearly well enough domestically or in Europe to boost revenues. Mario Balotelli's arrival in January, and his goals since, have been the only positives so far, but the team can still qualify for the Champions League if they can bridge the two-point gap to Saint-Etienne in fourth and the five-point gap to Lyon in third.